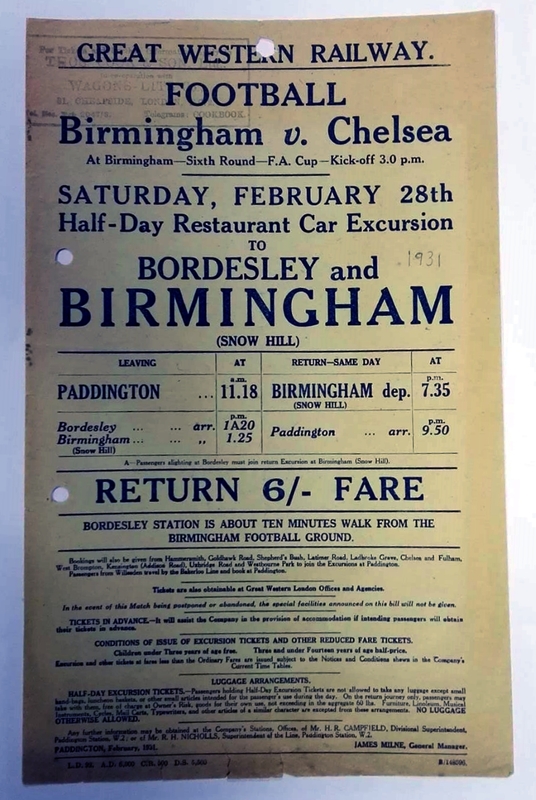 This poster from Great Western Railway advertised half-day excursions from Paddington to Birmingham for the 6th round FA Cup clash between Chelsea and Birmingham City in 1931. The game ended in a 2 – 2 draw with Jackson and Crawford scoring for the visitors, who then lost the replay at Stamford Bridge 3 – 0 as the Midlands side went through to the semi final. Birmingham would lose 2 – 1 in the final to West Brom.